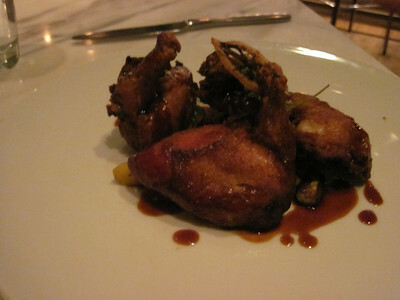 Our last Restaurant Week meal was at D.O.C.G. 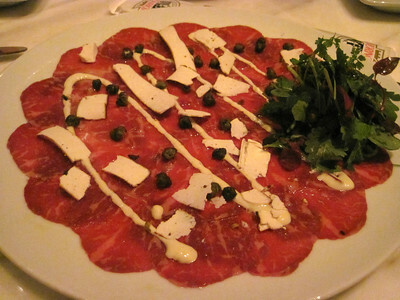 We really enjoyed the meal there last year and look forward to trying it again. It was packed and bustling on Friday at seven o'clock. In fact our table for three was the only one open when we were seated. Our waitress was very friendly and it seemed every dish I ordered was her personal favorite. Other staff made for certain our water glass was never empty. We got started with Fried Calamari; Spicy Tomato Sauce, Beef Carpaccio; Caper Aioli, Baked Ricotta Salata and Fried Artichoke; Lemon & Thyme. 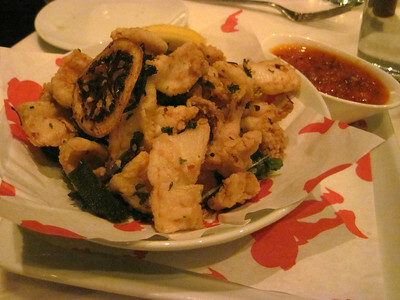 Both the calamari and carpaccio were winning appetizers. The artichoke was overly fried. It was mostly inedible. 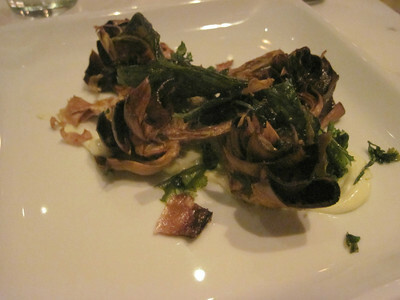 Once the layers of char were peeled away, there was the tiniest bite of tender artichoke to be had. Entrees came next, Maccheroni; Polpettine & Home Style Sugo, Tuscan Fried Chicken, Summer Vegetables and Braised Short Rib; Polenta, Summer Vegetables. The chicken was the weak link. Decent, but difficult to eat. The pasta was fantastic. 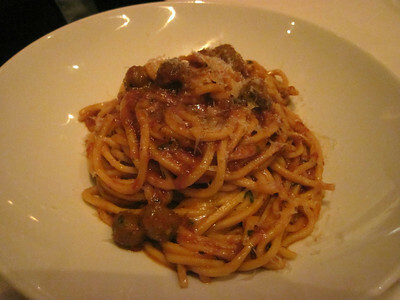 I'm in love with Scott Conant's pastas. They are always the perfect al dente. The meatballs weren't particularly notable, but those noodles? Yum! 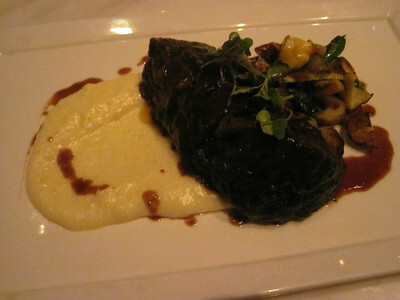 The short rib was fork tender and really wonderful. We ended with dessert a Caramel Budino; Salted Caramel Sauce and Marscarpone Cheesecake; Amaretti, Candied Kumquats. 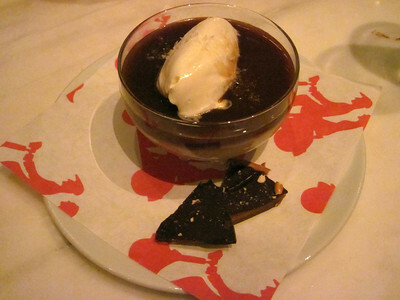 The Budino is luscious, sweet, but not overly so. 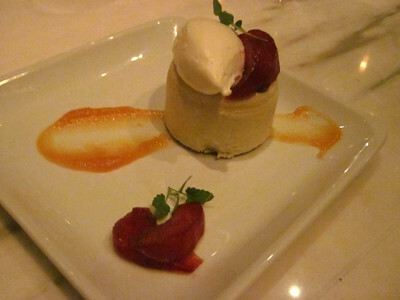 The cheesecake was fantastic, light and creamy. A perfect end to a delicous meal.